In 'A Legacy Of Spies,' John Le Carré Goes Back Out In 'The Cold' Former CIA operative Valerie Plame says pop culture doesn't usually get espionage right — but le Carré comes close. His new novel is a kind of prequel to 1963's The Spy Who Came in From the Cold. 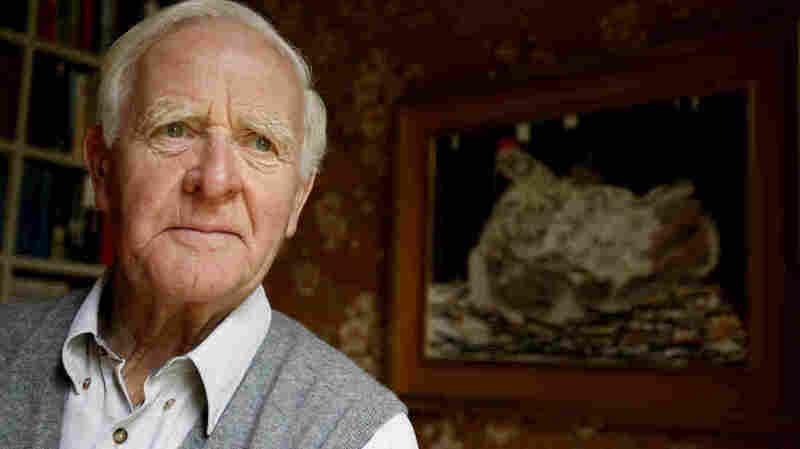 John le Carré, whose real name is David Cornwell, once worked as a British intelligence officer. His 1974 novel, Tinker, Tailor, Soldier, Spy, also centers on George Smiley. For the first time in 25 years, John le Carré has written a new novel featuring the spy at the center of some his most popular books. 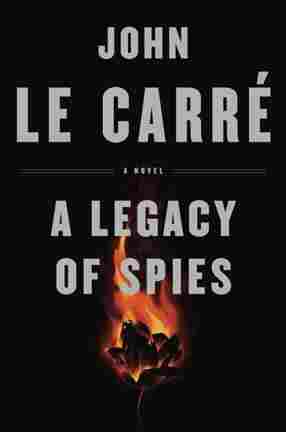 The new release, A Legacy of Spies, is a kind of prequel to The Spy Who Came in From the Cold (1963), the book that made le Carré famous and changed spy novels forever. In A Legacy of Spies, le Carré goes deep into Smiley's past, re-examining the role he and his cohorts played in The Spy Who Came in From the Cold, a story of betrayal and deception that ends badly at the Berlin Wall. Journalist and spy novelist David Ignatius says The Spy Who Came in From the Cold opened up the world of espionage and revealed tactics that were often morally questionable. He says Smiley was always a different kind of spy. He wasn't dashing or womanizing like James Bond; instead, Ignatius says, he was a "rumpled, almost professorial student of German manuscripts. His wife was unfaithful to him. He lived in this little house on Bywater Street. He was always described as owlish." And there was something else that set Smiley apart from other fictional spies: He had a conscience. Alex Berenson, author of the John Wells spy series, says Smiley was always clear-eyed about the price of victory in the world of espionage. "He is very much, you know, the quiet man pulling levers," Berenson says. "And yet at the same time you have the feeling that he's not a wizard, that he's very much consumed by the moral problems of the world that he lives in." That world is Britain's famed intelligence service, which le Carré dubbed "the Circus;" and the war they're engaged in is the Cold War, the struggle for dominance between East and West. The Cold War was still in high gear when The Spy Who Came in From the Cold was published, but the certainty of the 1950s was starting to give way to the upheaval of the '60s. According to David Ignatius, le Carré's Cold War was never a simple case of East versus West. "It wasn't black and white," Ignatius says. "It wasn't the good guys against the bad guys, as we'd felt in the '50s. It was more complicated than that. And espionage — which is always about shades of gray; it's always about deceit and pretending to be something different from what really is — ended up being a kind of, I think, metaphorical sort of novel for the way people felt about the world in the '60s and '70s, when the verities of the early Cold War period kind of hit a wall and we re-examined. And here was John le Carré painting a world in grays very movingly." Valerie Plame used to work for the CIA and now writes spy novels. She says pop culture doesn't usually get espionage right, but le Carré comes close. He understands the loneliness of the job and the moral ambiguity that comes with it, especially when recruiting spies from the other side. "I mean, you are asking someone to do something that you would never do yourself, which is betray your country and to pass highly classified information," Plame says. "There might be very good reasons for it ... but nevertheless you recognize these are other human beings. And even though sometimes they're not very pleasant, they're taking a huge risk in entering a relationship with you, a clandestine relationship." Le Carré often writes about what happens when that clandestine relationship goes bad. In The Spy Who Came in From the Cold, spy Alec Leamas realizes that he and the woman he has recruited have been used by his own side. Le Carré takes us back to that scene in A Legacy of Spies. The story begins when Peter Guillam, one of Smiley's disciples at the Circus, is brought out of retirement and threatened with a lawsuit. He's being held responsible for the deaths of Leamas and his recruit at the Berlin Wall many years ago. David Ignatius says, "It's a core moment, I think, for any le Carré reader. So we go back to that moment and those characters and we discover: Why were they at the wall? What was the operation about? What were they running [from]? What did they think they were doing?" Le Carré weaves past and present together with flashbacks and secret documents, tracing a series of events and mistakes that put both agents and their recruits in harm's way. Looking back on it all, Smiley concludes, "It was futile." But Ignatius disagrees, and he thinks le Carré does too. For all the moral ambiguity, Ignatius believes le Carré admires the spies he created and the part they played in the Cold War. "You do feel, I think, in this book a sympathy for them. You may have questions about the war they were fighting, you may have questions about the tactics they used. But much as we feel when we go to an athletic event and start cheering spontaneously for people in uniform, we end up loving the people who did the fight. And I think that's really at the center of this book. Whatever you think about the Cold War, you decide with le Carré that you love the people who were the fighters." Today, spy novelists are dealing with a very different world. In Ignatius' forthcoming novel, The Quantum Spy, he writes about high-tech espionage, and Alex Berenson's spy is a convert to Islam who works for the CIA. His enemy is ISIS, but Berenson says le Carré's influence lingers. "It's easy to fall into the trap of: This is the other; these people are just a bunch of barbarous head choppers. And, look, there is some truth in that. But they have a story, too. They tell themselves a story, too. They are on the battlefield for a reason. And le Carré ... dealt in a world of gray — my world is more black and white, but there's plenty of gray in it, and I always try to remember that." Perhaps that is the legacy of a spy novelist. Rose Friedman edited this story for broadcast, Nicole Cohen adapted it for the Web.